BBC Radio 1 - 1Xtra's Rap Show with Charlie Sloth, Joe Black does Fire in the Booth!! Joe Black does Fire in the Booth!! The biggest hip hop hood heat. Joe Black takes on Fire in the Booth, plus Mark Devlin's second guest mix featuring DJ Premier productions! May contain strong language. Charlie invites Joe Black onto the mic for this week's Fire In The Booth session and Joe went in hard! Check out new music from Wyclef Jean, Andre 3000 and Lowkey plus Mark Devlin gets back on the decks to bring a special mix of Premier productions. 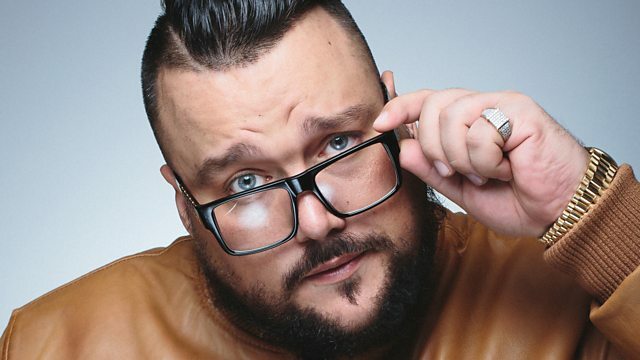 Charlie Sloth with Jimmy Screech Fire In The Booth! Joe Black delivers Fire In The Booth!